If your business is looking to hire a diesel forklift, there are a variety of machines available. Our diesel range of machines includes Doosan counterbalance trucks which range in size from 1.5 to 16 tonnes. This means we have a forklift capacity to suit a variety of needs and hiring periods. Our range includes both new and refurbished trucks, which have been LOLER certified for your peace of mind. This flexibility ensures our customers will be able to find a forklift which suits their budget and specific requirements. 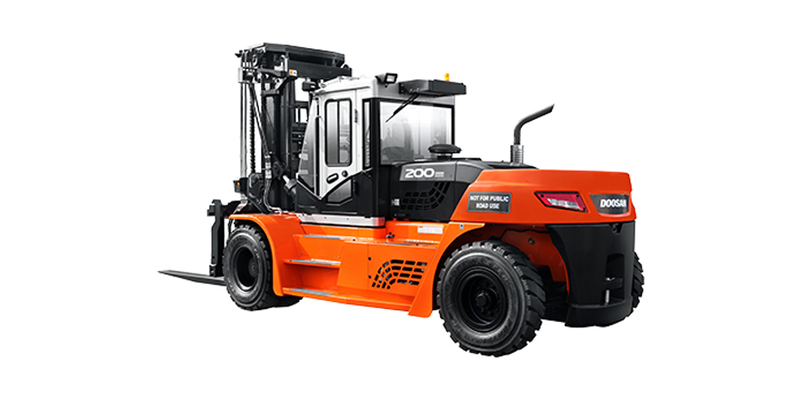 The diesel range of forklifts from Doosan has a reputation for being durable, reliable and easy to operate. If you are looking to rent diesel forklifts which balance modern technology with reliable components, then these forklifts offer everything you are looking for. Hiring a modern forklift will improve your productivity and reduce your operational costs, whilst enhancing operator safety and comfort. It is very common for companies to require short-term diesel forklifts for hire , due to peaks in production or job requirements. We are able to provide short-term hire from as little as one day to a maximum of one year. If you are a small company or have seasonal peaks, hiring over short periods can be beneficial to your budget, by reducing the initial upfront investment costs. Rather than purchasing an older forklift which could be unreliable, our range has an uptime of over 97%, which will maximise your businesses productivity by reducing downtime. If you are looking to hire diesel forklifts for more than one year, our long-term contract hire options offer terms up to six years. Many businesses choose to hire long term because of the known upfront costs, which can be spread over the cost of the agreement. This helps many companies who may struggle to purchase a forklift upfront. There are also maintenance packages available, which ensure you know the exact costs of the forklift over the hire period from the start and are protected from unexpected repair bills. As a local company, we are able to transport the vehicle to your site at a much lower cost than many other national companies. We have a fleet of two transporters, so we can carry up to six forklifts at a time. This enables us to deliver to most locations within a 24-48 hour period, at very competitive rates. If site access is causing you concern, we will be more than happy to arrange a site survey to establish access and forklift requirements. If you would like a hire option to suit the exact needs of your business, call our office today and we will be happy to advise which machine will suit you. We pride ourselves on supplying our customers with the most suitable materials handling solutions and are waiting to help customers like you.